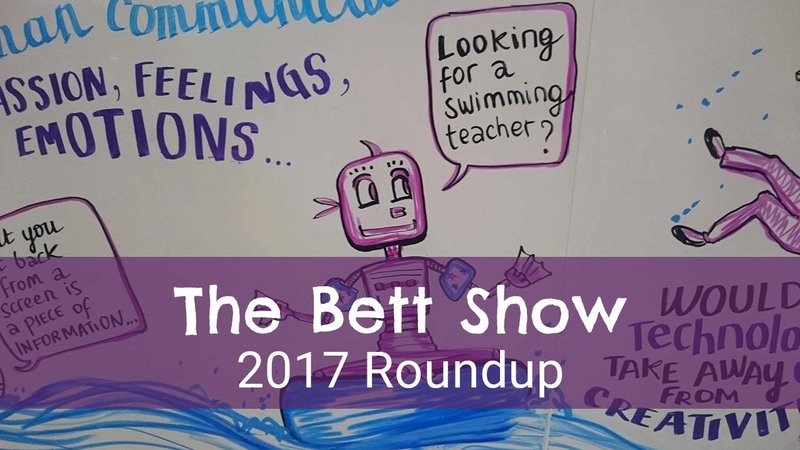 This year, we attended The Bett Show in London, as lots of the robots and companies we follow are exhibiting their products for the education sector. The Bett (British Education Training and Technology) Show is an annul trade show exhibiting the use of information technology in education. With a greater focus on STEM and Computing as part of the curriculum, teachers and schools have the opportunity to meet suppliers and service providers. The Bett Show was a great opportunity for us to meet providers, get hands-on with the products and meet some of the awesome inventors on our UK Kid Tech list. We took our kids to The Bett Show Purple Saturday event, which was a brilliant day out for them. There is an increasing number of programmable robots available, giving consumers a lot more choice. Robots are also not just wheeled, kids can programmable walking robots like Marty from Roboticals and BuzzBot from Jimu Robots. We're also noticing the entry level age to get kids into coding and electronics dropping to preschool age. Lots of new products like Cubetto and Robo Wunderkind are specifically targeting this younger age group. Products further up the line will need to adjust as kids become increasingly more capable at a younger age. Companies are recognising the importance of promoting STEM and we're seeing them invest in educational material to support their products. Sam Labs for example, launched their new STEM curriculum at Bett this year and Jimu Robots have an impressive STEM curriculum to support their products. 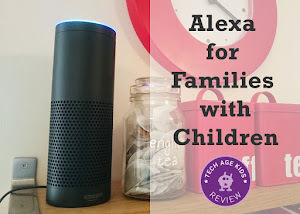 Tech products for kids are not cheap and with more choice, we believe decision makers will be looking for ways to help choose the best products for their use case. Whether you're a school or parent, buying tech for kids is definitely on an upward trend. It was such a pleasure to meet inventor, Alex, who's bringing Marty the robot to life. We first met Marty from Roboticals on Kickstarter, and liked the walking, programmable with Scratch robot so much, we backed the campaign. We can't wait to receive our "Marty". Tracy's son, was also really pleased to meet the inventor especially as his comment about the robot was used in his Kickstarter campaign! It was great to see Arckit again at Bett. The architectural modelling tool is going to be very well received by the kid maker movement. Why do say that, well I spent a long time at their stand, whilst Tracy's boys created marvelous buildings using a few basic shapes. I couldn't pull them away. Looking forward to see new and wonderful things from Arckit. Arckit sets are available on Amazon US and Amazon UK. My son loves playing The Foos which helps young kids learn to code through the Codespark Academy. It is suitable from 4+ and uses word-free learning to turn coding concepts into play. The Foos is available for free and CodeSpark Academy is a subscription based add-on. It is available on iOS and Andriod devices and it looks like they are currently developing for the Amazon Fire! You can try a free trial for 7 days. Erase All Kittens is an online game that teaches kids about HTML & CSS, the languages used to write web pages. It's weird in a good way. We've been using and recommending the EAK demo for a while so we're pleased to see that Drum Roll HQ have released a paid version with lots more content. My 8 year old son really got into it at the Bett Show, so we'll be checking it out to use at home. We got to meet the Curious Chip team from Scotland again and find up what they're doing now. Their last product idea didn't quite take off so they've gone back to the drawing board and we think you're going to like what they've come up with. More news coming soon. Jimu Robots from UBTECH are robotics kits for kids to build and programme. We are really impressed with the range of robots from this brand. The whole experience is rooted in getting kids excited about STEM from the beautifully designed box, which organises all the components by colour codes, to the actual coding part of the robots. We really can't wait to get our hands on one of these. Some of the older kits of Jimu Robots are available on Amazon US and Amazon UK. The latest model is the TankBot and is the first Jimu robot that runs of treads. It was awesome to catch up with the guys from Sam Labs again. They are positioning their latest model, Curious Cars, for STEM education. The wireless electronics blocks allow for a lot of open ended creations with electronics and coding. 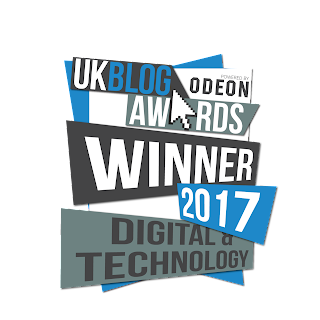 It's awesome to support British made products and we're written several projects with Sam Labs. Check them out! Cubetto is a tablet-less programmable robot to teach preschoolers the concepts of coding. We love so many things about Cubetto, it's best just to read our review. If you already use Cubetto at home or in schools, take a look at our paper costumes as a free activity for kids! It was great to meet up with the Data Harvest team behind K'Nex Robotics. The team that worked with K'Nex Education on this kit are based in the UK though the product is sold internationally. We picked up some tips and tricks that we'll be sharing, and also found out some exciting news about the future of K'Nex Robotics, make sure you follow us for the latest news. We first came across Roboterra during their crowdfunding campaign. It was great to see their product in action. 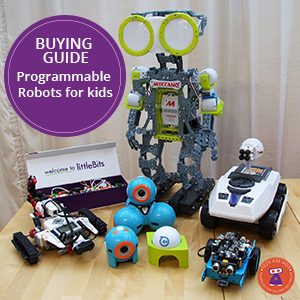 Roboterra make educational robotics kits that work with an online learning platform. Roboterra is looking like a high quality offering with strong educational content. Brick 'R' Knowledge is a range of modular electronics that slot together. The range includes sets that introduce low level electronics knowledge and well as some very appealing coloured LED blocks. There are also bricks for working with Arduino programming. Some of their sets are available on Amazon US and Amazon UK. Makeblock is one of our favourite brands, as they make great quality and affordable products for exploring robotics and making. We saw the new pink mBot for the first time - it's so pretty! The kids ended up creating a robot wars battle with several mBots and an mBot ranger. DIMM is a smart little cardboard robot which you can build and is powered with a BBC Micro:bit. The BinaryBots kit includes crocodile clips and additional sensors. BinaryBots showed another kit at Bett, the Binary UFO which looks really cute and also comes with the Micro:bit. BinaryBots are currently available on Amazon UK. Pai Technology is doing some interesting stuff in kid tech, including a smartwatch that looks like it will actually fit on a child's wrist, Ocean Pets maker kit with AR technology and an electronics kits to learn about circuits. The colours and graphics are really appealing for kids. HUE specialises in animation. They provide a colourful HD camera, teaching material and software, to make animations. They have kindly given us a HUE Animation Studio kit, which we can't wait to open and review. Follow us to read our review of the HUE kit!. It was great to meet up with XYZPrinting and see the XYZRobots for the first time. We've been thoroughly impressed with our XYZPrinting 3D printer and looking forward to developments in multicolour printing and 3D printing pens. We did spot the Driver robot, but unfortunately it was packaged and we didn't see a working model! Woppy is a juxtaposition of old and new, bring together new technology with an age old material - wood. The concept is a computer for kids, which they can build and use, entirely made out of wood. The designer in me, loves the look and feel; who wouldn't enjoy typing using a fully operational wooden keyboard! The brand is well thought out appealing to girls and boys in a fun and whimsical way. The brains of Woppy is a Raspberry Pi. To register your interest click here. Robo Wunderkind has developed a programmable cube which kids can build and code using a mobile app. The building process is like building with LEGO Duplo, but with electronic blocks that can move and sense and be programmed. Following a successful Kickstarter campaign in 2015 Robo Wunderkind kits are now available on their online store. We love Kano, and my son has enjoyed building his own computer at the Institute of Imagination event we attending in London last year. Kano Computer is a Raspberry Pi computer which kids can build themselves and then programme. The platform is developed by Kano and includes games, activities and even a version of Minecraft. 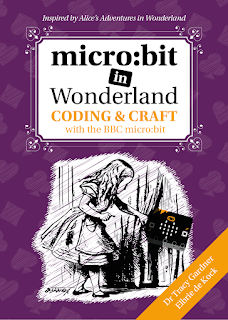 Although not shown at the show, we're really excited for their new Creative Computing Kits coming out this year! Purchase a Kano Computer Kit on Amazon US or Amazon UK. FischerTecknik has a stand full of fab contraptions built from kits. We especially liked the 3D printer which you can build from the kit and the way they had incorporated a BBC micro:bit device into a project. Their new BT Smart Beginner Robotics Set (coming soon) looks very interesting. We've been sharing the crowdfunding campaign for the KUBO robot and following along and we really enjoyed watching our kids get to try it out. This little robot can be programmed using physical tiles that it reads as it drives over them. It can support some fairly complex coding. You can also swap KUBO's head and tiles to support other activities such as spelling. There's still time to back the KUBO campaign.